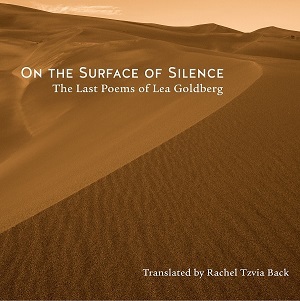 The first funeral I went to in Israel was Lea Goldberg’s… The poet’s body, wrapped in a simple shroud through which its lumpy outline was visible, was carried to the graveside on an open stretcher and tipped directly into the freshly dug soil… Though her body was tipped into the earth, her legacy did not fall into the depths. Goldberg is remembered…. This book is a thing of beauty… [and] a volume to treasure: some of these powerful poems are read in Hebrew at funerals and memorials for loved ones in Israel to this day, and they will certainly be read aloud elsewhere now with their appearance in English. For the full review by Vivian Eden, click here, and order your copy of On the Surface of Silence here!.